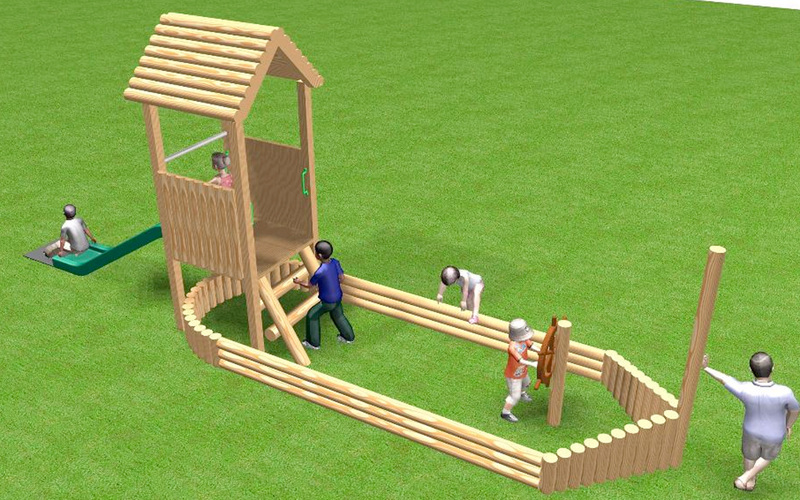 The Barge & Playhouse is safe on grass. 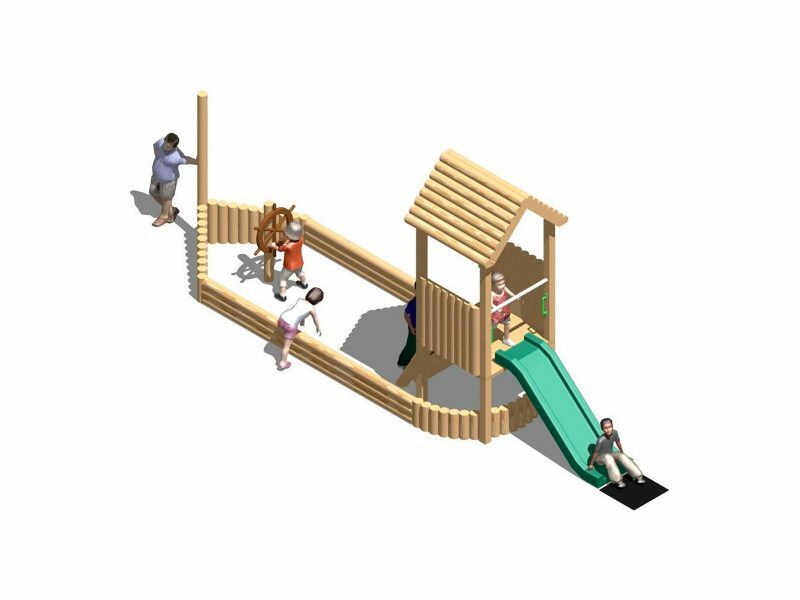 Designed to stimulate imaginative play, the Barge & Playhouse is a fantastic item that encourages socializing and interaction between the users. 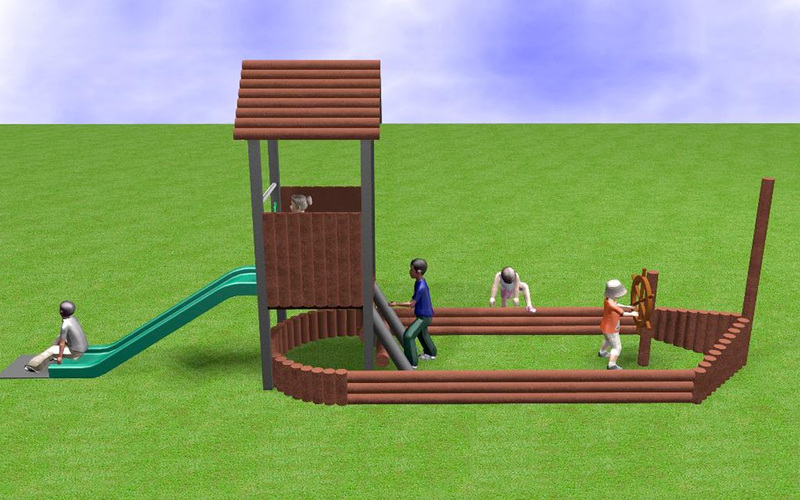 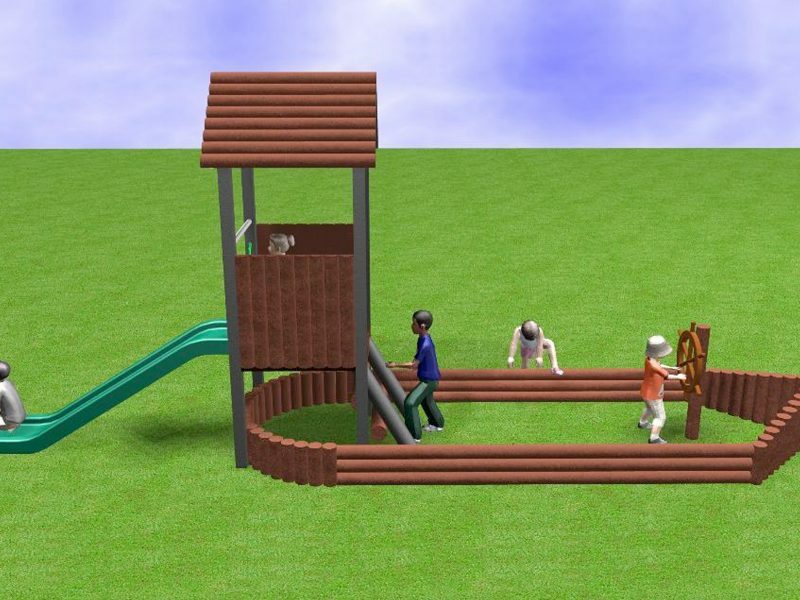 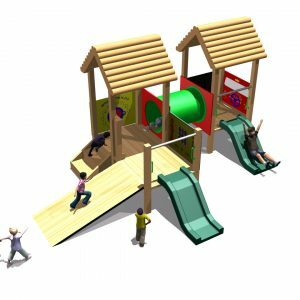 The playhouse is available with 600mm; 1m; or 1.2m height platform – these options allow the unit to be installed onto a suitable grass surface without the need for addtional safer surfacing. 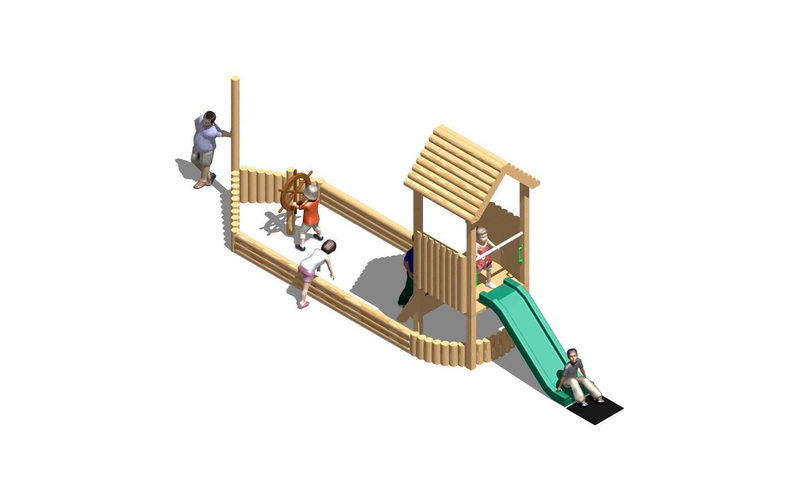 It is also available with a 1.5m platform with additional safer surfacing. 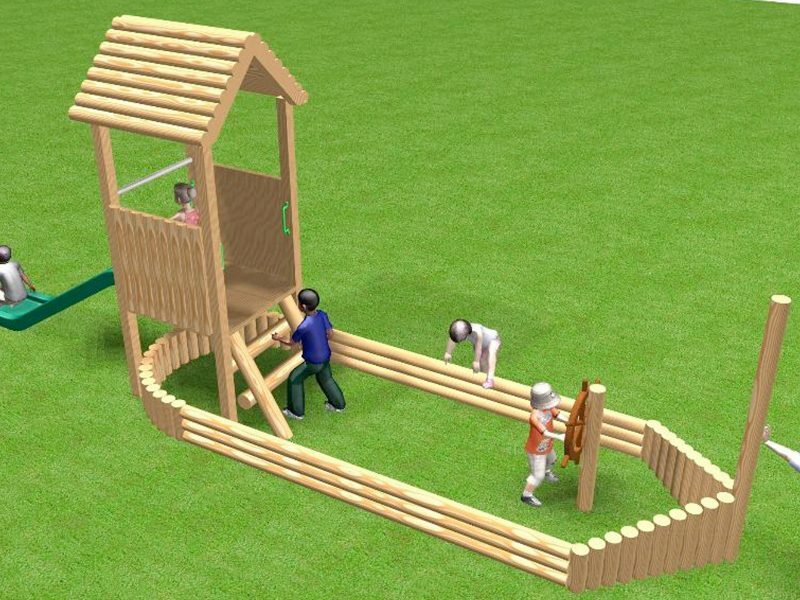 Also available with a flag if required. 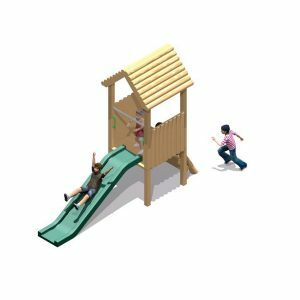 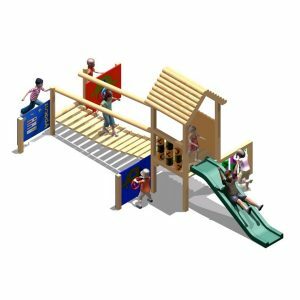 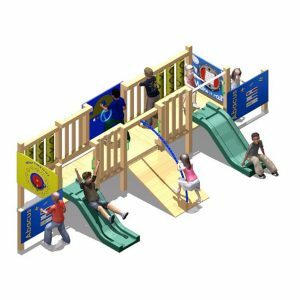 This item can be manufactured to suit your uniqure requirements, and extras can be included – such as taller playhouses, slides, nets, activity panels and fun-trail equipment.